A new study, reviewing the actions taken in response to the 2014-2015 West African Ebola crisis, has found the burial practices conducted by medical staff were highly effective in reducing the infection spread. he Ebola crisis, which has ravaged parts of West Africa was propelled by a host of factors. Chief among these was a very poor (and in some areas non-existent) public health infrastructure, plus little institutional support being in place. The response from global health agencies, such as the World Health Organization, were also criticized as being too slow. Across West Africa an estimated 28,000 people were infected with the virus and some 11,300 died. READ MORE: Just why has Ebola been so terrible in West Africa? Despite the slowness of the response, the actions of medical and healthcare volunteer staff was instrumental in addressing the crisis and slowing down the spread of infection. Called out in a new study, from the Epicentre, Geneva, Switzerland, are the actions of Red Cross volunteers. Fact check: What is Ebola? 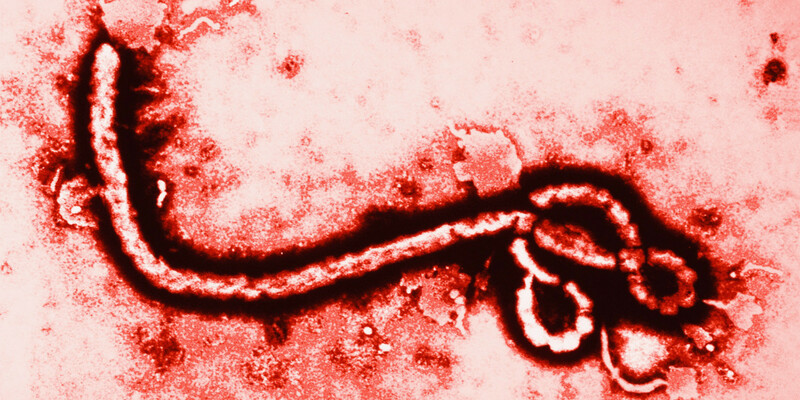 Ebola virus disease refers the human disease which is caused by any of four of five known Ebola viruses. The name derives from Ebola River in Republic of the Congo, near to where the first case of the virus was detected in 1976. Ebola is an unpleasant disease; after an incubation time that can stretch to twenty-one days, one of the common signs of the disease is bleeding from mucous membranes and puncture sites. If the infected person does not recover, death due to multiple organ dysfunction syndrome occurs and here the disease can be up to 90 percent fatal, depending on the viral type. With the Red Cross, a key part of the response was ensuring the safe burials of people who had died of Ebola. This is because the bodies of victims were highly infective. In the early days of the crisis one way by which many people became infected was through the cultural practice of community funerals. Health experts recognized early on that this had to stop. By switching to rapid burials, with no community involvement, the study suggests the practice of safe and dignified burials prevented between 1,411 and 10,452 cases of Ebola. The study is published in PLOS Neglected Tropical Diseases and it is called "Estimating the number of secondary Ebola cases resulting from an unsafe burial and risk factors for transmission during the West Africa Ebola epidemic." While beneficial microbes are becoming a more common tool in agriculture, their effectiveness in the field is severely blunted thanks to real-world environmental stressors like heat and drought, competition with other microbes, and interactions with the host plant. Such factors can reduce the treatment's effectiveness or even drive the microbe to extinction. Through a new Phytobiomes journal review paper, titled "Translating Phytobiomes from Theory to Practice: Ecological and Evolutionary Considerations," Drs. Christine Hawkes and Elise Connor in the Department of Integrative Biology at the University of Texas propose applying ecological theories to improve the process of microbial technology development. "Most plant microbiome studies in agriculture are divorced from ecological mechanisms," says Hawkes. "We argue that if we can identify the underlying ecological mechanisms, these can provide a roadmap to improve the development and application of successful microbiome treatments." "By considering the niche when designing treatments, we can increase treatment effectiveness and persistence," said Hawkes. "Ideally, identification of the most important mechanisms will allow us to assemble treatment communities that are robust, difficult to invade, and provide consistent benefits despite environmental fluctuations." "We are entering a new era of microbiome discovery that has the potential to change the way we grow crops for food and fuel," said Hawkes. "This article provides a new perspective on how to do that, considering microbial ecological interactions with the host, other microbes, and the environment." Antibiotics are lifesaving drugs, but overuse is leading to antibiotic resistance, one of the world's most pressing health threats. 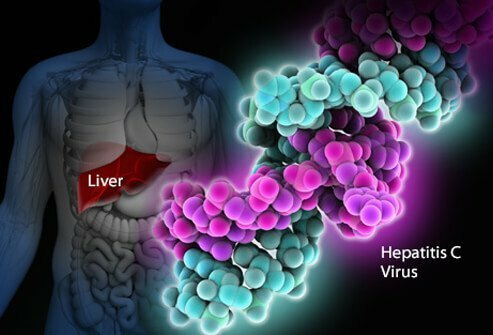 Scientists identified 11 genetic markers in blood that accurately distinguished between viral and bacterial infections 80 to 90 percent of the time. The finding is important because physicians don't have a good way to confirm bacterial infections like pneumonia and more-often-than-not default to an antibiotic. Scientists from the University's National Institutes of Health-funded Respiratory Pathogens Research Center identified 11 genetic markers in blood that accurately distinguished between viral and bacterial infections (antibiotics help us fight bacterial infections, but aren't effective and shouldn't be used to treat viruses). The finding, published in the journal Scientific Reports, is important because physicians don't have a good way to confirm bacterial infections like pneumonia and more-often-than-not default to an antibiotic. "It's extremely difficult to interpret what's causing a respiratory tract infection, especially in very ill patients who come to the hospital with a high fever, cough, shortness of breath and other concerning symptoms," said Ann R. Falsey, M.D., lead study author, professor and interim chief of the Infectious Diseases Division at UR Medicine's Strong Memorial Hospital. "My goal is to develop a tool that physicians can use to rule out a bacterial infection with enough certainty that they are comfortable, and their patients are comfortable, foregoing an antibiotic." Falsey's project caught the attention of the federal government; she's one of 10 semifinalists in the Antimicrobial Resistance Diagnostic Challenge, a competition sponsored by NIH and the Biomedical Advanced Research and Development Authority to help combat the development and spread of drug resistant bacteria. Selected from among 74 submissions, Falsey received $50,000 to continue her research and develop a prototype diagnostic test, such as a blood test, using the genetic markers her team identified. A group of 94 adults hospitalized with lower respiratory tract infections were recruited to participate in Falsey's study. The team gathered clinical data, took blood from each patient, and conducted a battery of microbiologic tests to determine which individuals had a bacterial infection (41 patients) and which had a non-bacterial or viral infection (53 patients). Thomas J. Mariani, Ph.D., professor of Pediatrics and Biomedical Genetics at URMC, used complex genetic and statistical analysis to pinpoint markers in the blood that correctly classified the patients with bacterial infections 80 to 90 percent of the time. "Our genes react differently to a virus than they do to bacteria," said Mariani, a member of the Respiratory Pathogens Research Center (RPRC). "Rather than trying to detect the specific organism that's making an individual sick, we're using genetic data to help us determine what's affecting the patient and when an antibiotic is appropriate or not." 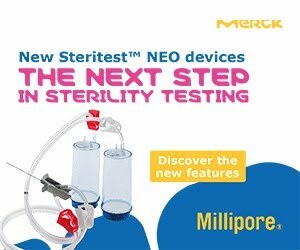 Falsey, co-director of the RPRC, and Mariani say that the main limitation of their study is the small sample size and that the genetic classifiers selected from the study population may not prove to be universal to all patients. A patent application has been filed for their method of diagnosing bacterial infection. Edward Walsh, M.D., professor of Infectious Diseases, and Derick Peterson, Ph.D., professor of Biostatics and Computational Biology at URMC, also contributed to the research. 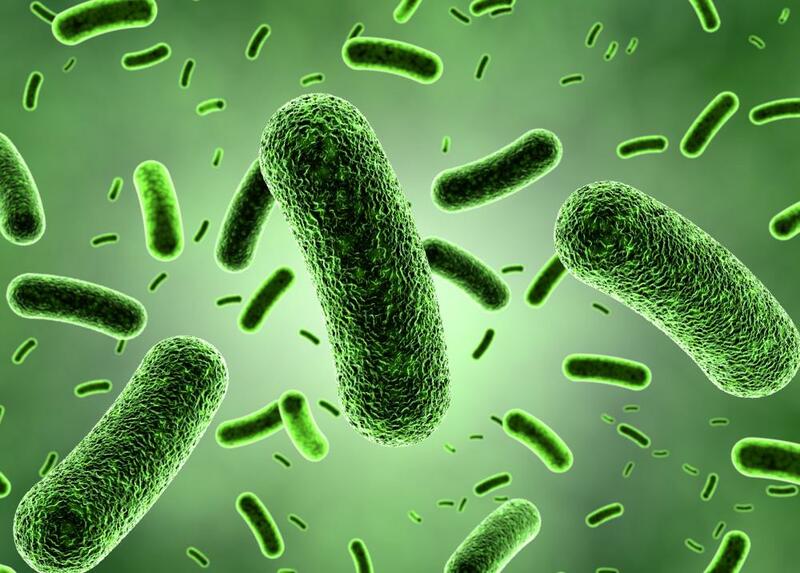 According to the Centers for Disease Control and Prevention, antibiotic resistant bacteria cause at least 2 million infections and 23,000 deaths each year in the United States. The use of antibiotics is the single most important factor leading to antibiotic resistance around the world. 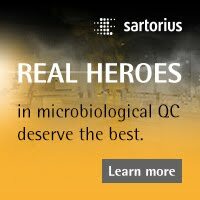 Introduction: Pseudomonas aeruginosa is an important pathogen in nosocomial infections and developed typing techniques are essential allowing researchers to understanding hospital epidemiology. Monitoring the emergence and transmission of Pseudomonas aeruginosa strains permits the elucidation of the source of infection and routes of bacterial transmission. The aim of the present study was an in silico comparison of Pulsed-field gel electrophoresis with different schemes of Multiple Locus Variablenumber Tandem Repeat Analysis in terms of discriminatory power and concordance. 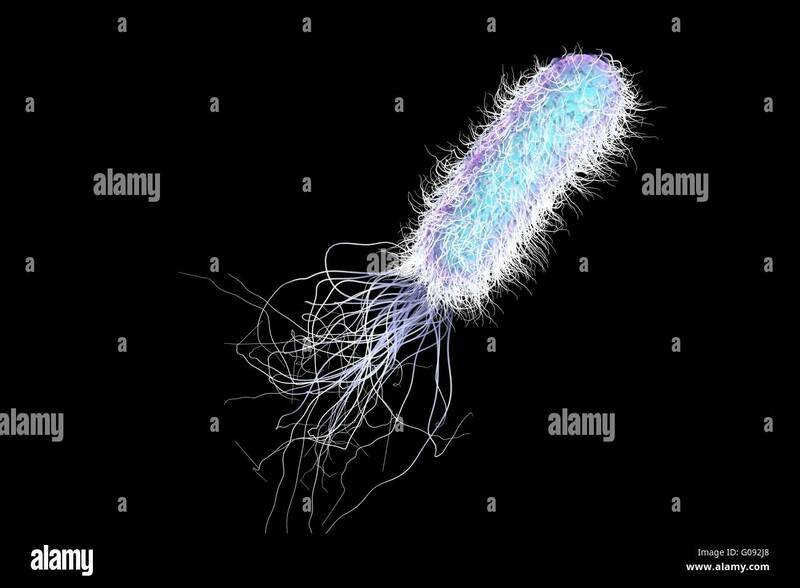 Materials and methods: 58 P.aeruginosa whole genomes have been analyzed in silico to determine SpeI-digested PFGE type and subspecies types using different MLVA methods. Resolution power, strength and direction of the concordance between typing methods have been estimated by calculation of the Simpson’s index, the adjusted Rand and the adjusted Wallace coefficients. Results: The Simpson’s indices of diversity were 1.0 for PFGE and from 0.995 to 0.999 for MLVA schemes with 6-19 markers. The congruence between PFGE and different MLVA methods measured by the adjusted Rand index were from 0.306 to 0.665 on cluster level for PFGE and type level for MLVA. The congruence was slightly higher at the clonal cluster level - from 0.46 to 0.694. Conclusion: Our in silico study for comparing different MLVA schemes with PFGE, based on Pseudomonas aeruginosa genomes showed, on the one hand, the same high level of discriminatory power of PFGE and MLVA even with 6 tandems markers; nonetheless, on the other hand, there was moderate/poor congruence (no more 70%) between PFGE and MLVA schemes on cluster level. Couples who live together share many things: Bedrooms, bathrooms, food, and even bacteria. After analyzing skin microbiomes from cohabitating couples, microbial ecologists found that people who live together significantly influence the microbial communities on each other's skin. The researchers also found that the microbial profiles of sites on a person's left side -- like hands, eyelids, armpits, or nostrils -- strongly resemble those on their right side. Of all the swab sites, the least microbial diversity was found on either side of the outer nose. In addition to the Cas9 protein that bacteria use to bind and snip DNA, bacteria have other Cas proteins that know where to insert that viral DNA into the CRISPR region to remember which viruses have attacked and mount a defense. A research team has discovered how these proteins -- Cas1 and Cas2 -- locate and insert the viral DNA, and it relies on the flexibility of these enzymes and the shape of the DNA. These proteins, which were recently used to encode a movie in the CRISPR regions of bacterial genomes, rely on the unique flexibility of the CRISPR DNA to recognize it as the site where viral DNA should be inserted, ensuring that "memories" of prior viral infections are properly stored. The structures reveal that a third protein, IHF, binds near the insertion site and bends the DNA into a U-shape, allowing Cas1-Cas2 to bind both parts of the DNA simultaneously. The lead authors, graduate student Addison Wright and postdoctoral fellow Jun-Jie Liu, along with co-authors Gavin Knott, Kevin Doxzen and Eva Nogales, discovered that the reaction requires that the target DNA bend and partly unwind, something that only occurs at the proper target. CRISPR systems are a bacterial immune system that allows bacteria to adapt and defend against the viruses that infect them. 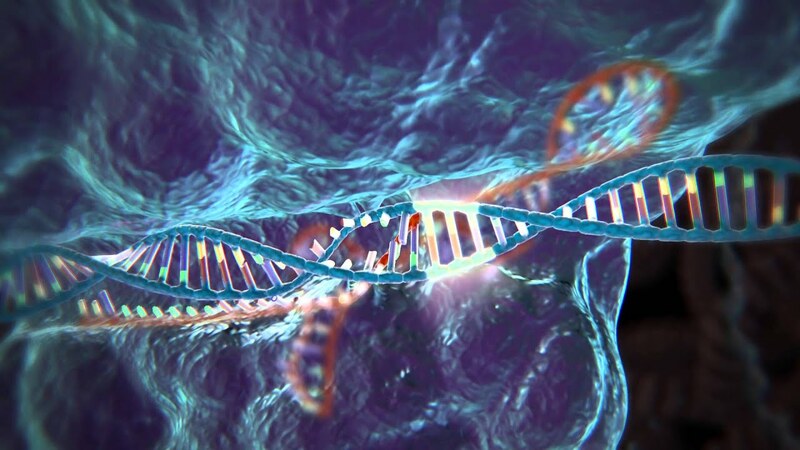 CRISPR stands for clustered regularly interspaced short palindromic repeats and refers to the unique region of DNA where snippets of viral DNA are stored for future reference, allowing the cell to recognize any virus that tries to re-infect. The viral DNA alternates with the "short palindromic repeats," which serve as the recognition signal to direct Cas1-Cas2 to add new viral sequences. While many DNA-binding proteins directly "read out" the nucleotides of their recognition sequence, Cas1-Cas2 recognize the CRISPR repeat through more indirect means: its shape and flexibility. In addition to coding for proteins, the nucleotide sequence of a stretch of DNA also determines the molecule's physical properties, with some sequences acting as flexible hinges and others forming rigid rods. The sequence of the CRISPR repeat allows it to bend and flex in just the right way to be bound by Cas1-Cas2, allowing the proteins to recognize their target by shape. The discovery of how Cas1-Cas2 recognize their target opens the door for modification of the proteins themselves. By tweaking the proteins, researchers might be able to redirect them to sequences other than the CRISPR repeat and expand their application into organisms without their own CRISPR locus. The discovery, made in research laboratories at the University of Michigan Medical School and the U.S. Food and Drug Administration, is published in the online journal PLoS Pathogens. 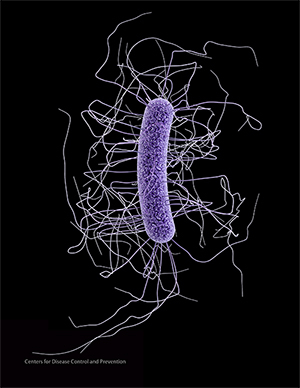 It helps solve a key mystery about C. diff: What triggers it to germinate, or break its dormancy, from its hard spore form when it reaches the gut. That group includes people whose guts are flooded with extra calcium because they're taking certain medications or supplements, have low levels of Vitamin D in their blood or have gut diseases that keep them from absorbing calcium. Previous research had suggested it couldn't do this without another key component, an amino acid called glycine. But the new findings show calcium and the bile salt called taurochlorate alone are enough. Mouse gut contents that were depleted of gut calcium had a 90 percent lower rate of C. diff spore germination. "These spores are like armored seeds, and they can pass through the gut's acidic environment intact," says Philip Hanna, Ph.D., senior author of the new paper and a professor of microbiology and immunology at U-M. "Much of the spore's own weight is made of calcium, but we've shown that calcium from the gut can work with bile salts to trigger the enzyme needed to activate the spore and start the germination process." That could awaken all the dormant C. diff spores in a patient's gut at once, and make them vulnerable to antibiotics that can only kill the germinated form. That could also prevent the transmission of more spores through diarrhea to the patient's room. That could slow or stop the cycle of transmission that could threaten them or other patients in the future. Hanna's graduate student, Travis Kochan, made a key observation that led to the discovery. He noted that the fluid "growth medium" that the researchers typically grow C. diff in for their studies had calcium in it. He realized this could artificially alter the results of their experiments about what caused C. diff spores to germinate. FDA's Center for Biologics Evaluation and Research conducted further research in laboratory dishes and in the guts of mice. FDA's Paul Carlson, Ph.D., a former U-M research fellow, and his laboratory found that C. diff spores that were mutated so that glycine couldn't act on them could still germinate and colonize mice. This suggested that calcium, and not glycine, was critical for this process. "These spores don't want to germinate in the wrong place," says Kochan, whose grandfather suffered from a severe C. diff infection which ultimately led to his death. "C. diff spores have specialized to germinate in the gut environment, especially in the environment of the small intestine, where calcium and the bile salt injection from the liver comes in." General poor upkeep, leading to peeling paint or torn lagging, presents opportunities for microbial contamination to occur. Risks are more acute for spore forming organisms, such as Bacillus and related genera and with fungal spores. Changes to facility use, in terms of people and equipment, present potential risks. 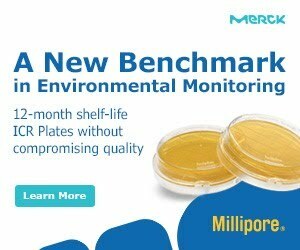 For example, if a facility was designed for a specific number of personnel and the operational level increases, this could present new challenges for contamination control, especially where cleanroom occupancy rates increase (given that people are the primary contamination source within cleanroom environments). Furthermore, changes to production equipment and layouts can affect airflow directions, especially in relation to aseptic processing. The addition of more equipment to a working space can cause greater heat generation, placing a greater heat load upon air conditioning. If environments are not suitably controlled, this can cause personnel to shed higher levels of skin and thus increase the microbial load into the cleanroom. Additionally, as amounts of equipment increase this can make areas more difficult to clean and disinfect simply because operators cannot maneuver around the equipment footprint. Poor air circulation also brings with it other risks, such as undetected fungal growth A related area is with the air supply system from variable air volume boxes. Here the air volumes supplied into cleanrooms may not be as originally designed. This not only affects air supply volumes but also air exchange rates and clean-up times. These physical parameters are essential for keeping particles (viable and inert) in suspension and for removing them from cleanrooms. This factor can be overlooked because most cleanroom monitoring systems assess pressure differentials rather than air supply volumes. Cracks in walls, tears to vinyl, and the degradation of construction joints can lead to microbial contamination events. Here unclean areas can become exposed to cleanrooms and microorganisms can reside in cracks. Where cracks occur, cleaning solutions will often not be able to penetrate. A further risk with weakened or broken joints is that high airflow velocities can drag unsuitable air into cleanrooms from plant areas. This can lead to turbulent mixing and the potential entailment of contamination. This can be assessed through airflow visualization. Regular inspection and a sound repair program can overcome these problems, together with the fitting of high quality seals such as compressed rubber gaskets. The voids between adjacent cleanrooms or between cleanrooms and the outside environment will accumulate dust, and within the dust there will be spore-forming microorganisms. Such environments will not have any impact unless they are disturbed. Here contamination will arise when facilities are modified, such as knocking through a wall in order to expand a cleanroom. Good control measures should be in place when modifications take place including partitioning off areas, vacuuming dust and regular cleaning followed by sporicidal disinfection. Flocking behaviour in animals seemingly arises spontaneously in a group of independent individuals without a clear leader. This behaviour occurs among all types of organisms, from bacteria to people. One hypothesis, therefore, is that there are fundamental principles for flock building that are not dependent on single individuals. Researchers at Lund University, in cooperation with colleagues from the UK and France, have now found that flocking behaviour among microorganisms is more advanced than we previously thought. "Our research is a physical explanatory model of how microorganisms move. From a biological perspective, it is useful to examine the evolutionary basis for flocking behaviour among bacteria, as the connections can increase our understanding of the course of infectious diseases," says Joakim Stenhammar, chemistry researcher at Lund University. When a person or animal swims, they create backwashes or wakes that others can sense. The researchers have now created a theoretical model that describes how single microorganisms communicate with each other via the backwashes that each organism creates. The physical principle differs from ordinary backwashes, but these flows enable the bacteria to sense each other's presence and affect each other at very low concentrations. In the light of this, microorganisms cannot be described as isolated individuals. It was previously known that certain swimming bacteria, such as E. coli and Salmonella, form flocks at high concentrations. In the new study, Stenhammar and his colleagues have shown that it is only at extremely low concentrations -- less than ten per cent of what was previously thought -- that bacteria can be considered as individuals. "In contrast to an individual bacterium, flocks can move in a synchronised way over long length scales and several times faster than a single bacterium," says Joakim Stenhammar. "Our research adds another piece of the puzzle to our understanding of how flocking behaviour works in biological systems, and the model can be applied to a large number of swimming microorganisms," says Joakim Stenhammar. Graphene is a material derived from carbon and it has unique physicochemical properties. Graphene is formed where graphite is taken and atom thick layers are sliced away. The material has application for microbiology, as Tim Sandle covers in a new article. Graphene is the most widely researched new material. It is an allotrope of carbon and due to special properties the material is being tested out within the fields of consumer and medicinal electronics. 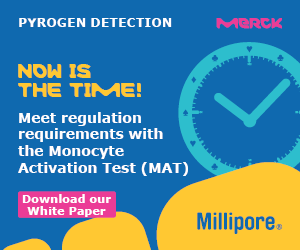 While these applications have received considerable attention developments relating to microbiology are taking place. This short review article considers bacterial staining and anti-bacterial activity, as two of the most promising future developments.